Your local North Village Pharmacy, isfeaturing their app for their current and potential customers. Withthe use of this app, you have the convenient ability to refill yourprescriptions quickly and easily. Additionally, you can obtaininformation about store hours and directions, news feeds, or usethe app to quickly call the pharmacy. 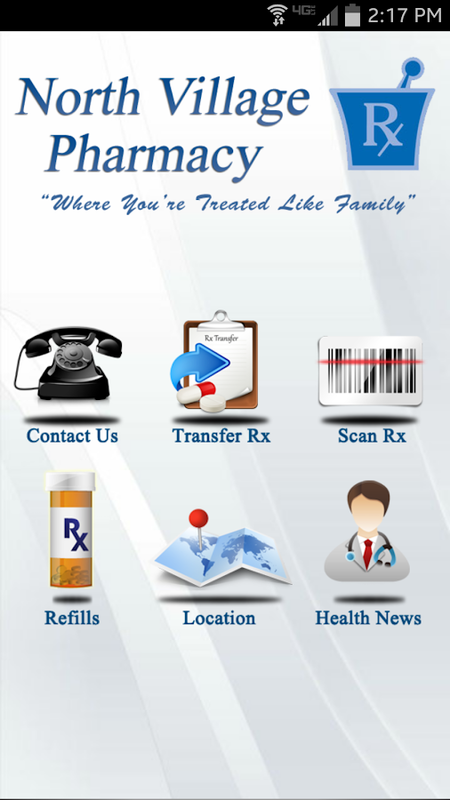 North Village Pharmacy makes refilling your prescriptionsconvenient and quick with the use of this app on your device. Stay connected with your local VerizonWireless Premium Retailer Wireless One. This app has access to allof our locations in the upstate of South Carolina. You can email,call, or get directions to any Wireless One location of yourchoice. Don't forget to check our daily deals located in the app soyou do not miss out on a great deal. Your local Arlington Pharmacy, is featuringtheir app for their current and potential customers. With the useof this app, you have the convenient ability to refill yourprescriptions quickly and easily. Additionally, you can obtaininformation about location, and stores hours and directions, or usethe app to quickly call or message.App FeaturesArlington Pharmacy makes refilling your prescriptions convenientand quick with the use of this app on your device. * Rx Refills* Scan Rx* Contact Information* News Feeds* Location and Direction* Additional Contact Information* Push Message Notification (coming soon)There is no charge to download and install the app. Your local pharmacy of Lo Cost has an app for your convenience. Youcan call, email, fill prescriptions, visit website, or check outlatest adds all from your handheld device. Brought to you by LoCost Pharmacy locations. Your local Richmond Hill Pharmacy, is featuring their app for theircurrent and potential customers. With the use of this app, you havethe convenient ability to refill your prescriptions quickly andeasily. Additionally, you can obtain information about sisterlocations, and stores hours and directions, check out the FacebookPage, or use the app to quickly call or email.App FeaturesRichmondHill Pharmacy makes refilling your prescriptions convenient andquick with the use of this app on your device. * Rx Refills*Bar-code Scan* Contact Information* Transfer RX* Location andDirection* Additional Contact InformationThere is no charge todownload and install the app. Your local Corner Drug Stores, are featuring their app for theircurrent and potential customers. With the use of this app, you havethe convenient ability to refill your prescriptions quickly andeasily. Additionally, you can obtain information about stores hoursand directions, check out current specials, or use the app toquickly call or email all Corner Drug Stores.App FeaturesCornerDrug Stores makes refilling your prescriptions convenient and quickwith the use of this app on your device. * Rx Refills* AccessPharmacy Website* Contact Information* Specials* Location andDirection* Additional Contact Information* Push MessageNotification (coming soon)There is no charge to download andinstall the app. 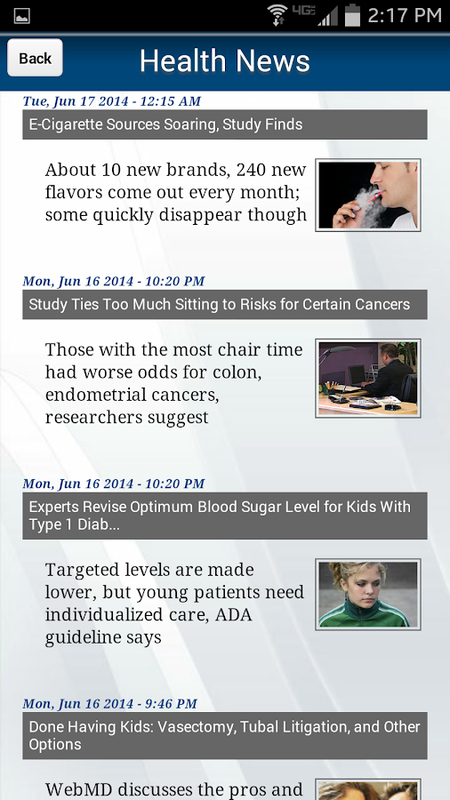 Your local Gate City Pharmacy, is featuring their app for theircurrent and potential customers. With the use of this app, you havethe convenient ability to refill your prescriptions quickly andeasily. Additionally, you can obtain information about store hoursand directions, news feeds, or use the app to quickly call thepharmacy.App FeaturesGate City Pharmacy makes refilling yourprescriptions convenient and quick with the use of this app on yourdevice. * Rx Refills* Contact Information* Refill Scan* Location andDirections* Additional Contact Information* News Feeds* MessageDirectly* Transfer Refill Requests There is no charge to downloadand install the app. 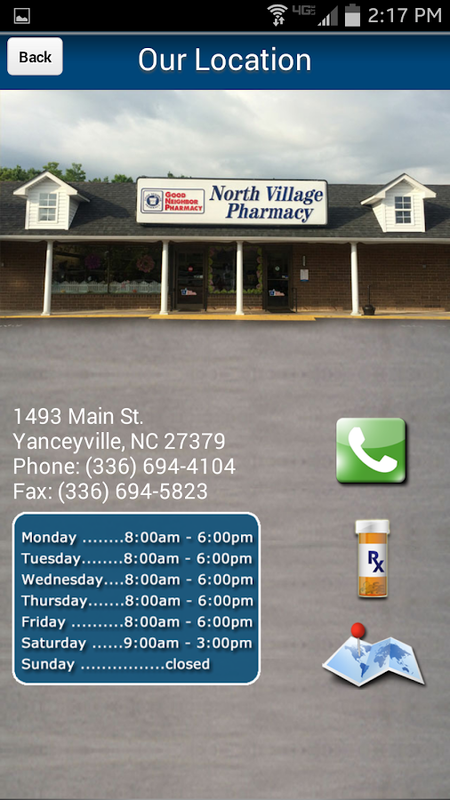 Your local Village Pharmacy of Wake Forest, is featuring their appfor their current and potential customers. With the use of thisapp, you have the convenient ability to refill your prescriptionsquickly and easily. Additionally, you can obtain information aboutstore hours and directions, news feeds, or use the app to quicklycall the pharmacy.App FeaturesVillage Pharmacy makes refilling yourprescriptions convenient and quick with the use of this app on yourdevice. * Rx Refills* Contact Information* Refill Scan* Location andDirections* Additional Contact Information* News Feeds* MessageDirectly* Push Message Notification* Transfer Refill RequestsThereis no charge to download and install the app.